Barcelona is an exciting and eventful place to be this November. 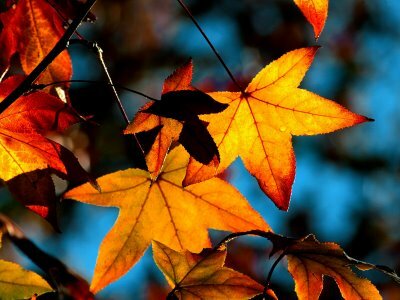 From music festivals to Halloween celebrations, there are hundreds of reasons to visit this beautiful city in autumn. Below we list just a few of our favorite events in Barcelona to look forward to this November! Calling all sea enthusiasts! 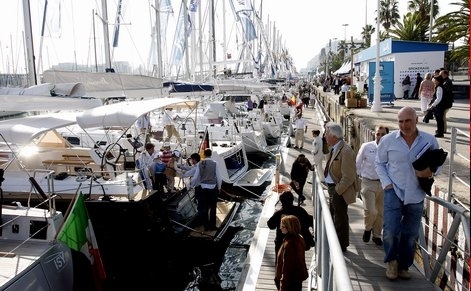 From November 5th to November 13th, Barcelona will host its annual International Boat Show, this year being its 50th anniversary. This is the biggest fair of its kind in Spain and one of the most important in Europe, with over 180,000 people attending last year. Throughout the fair, giant yachts will be showcased and different brands will display their products to the public. Professionals will extend their business network, and those who consider themselves sea fanatics will have the opportunity to meet professionals in the industry. In addition, during some of the days of the show, the public can participate in different activities such as windsurfing, jet skiing, and kayaking. Stay in one of the beautiful beach apartments in Barcelona and don´t miss out on what will be a fantastic show. For more information on the Salón Náutico visit the official website. 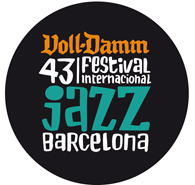 With 2011 marking the 43rd International Jazz Festival of Barcelona, this is certainly an event not to miss! Offering over 38 concerts in each of Barcelona´s most popular venues, the festival will be well underway by the time November comes around. The festival begins in late October and runs through to early December. Bands and artists come from all over the world to play and share their music with the city of Barcelona. Although the final set list has not yet been released, the festival not only allows you to hear some of the best jazz in Barcelona, but will also permit you to easily visit many important venues and attractions of Barcelona. Stay in one of the city centre Barcelona apartments and experience this amazing event! 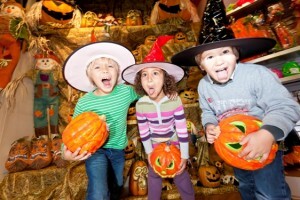 Halloween is the perfect time to visit the fantastic theme park just outside Barcelona. With special Halloween discounts, PortAventura caters to the spooky traditions we know so well with rides, tours and shows specially designed for the festivities. Taking place from September 24th to November 20th, the park is much less crowded than it is during the summertime and the streets are filled with bloodthirsty vampires, goblins, and ghouls. Although seemingly terrifying, the park is child friendly, with glowing pumpkins lining the street, puppet shows, and even trick or treating. Stay in a Costa Dorada apartment or take a day trip from Barcelona (only one hour on the train) to this fun for all scare-a-thon! For more information on Halloween at PortAventura visit the official website. The second edition of this fantastic Barcelona event will take place on November 30th on the grand Passeig de Gràcia. Kicking off the Christmas shopping season, stores on the street will keep their doors open until 01:00, allowing customers to browse and purchase until the early hours. 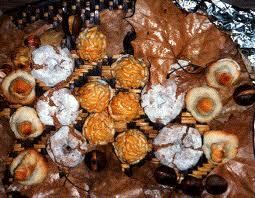 Some shops will even try to entice you in with special treats and glasses of champagne. There will also be a variety of cultural activities to experience on the night such as street concerts and food tastings. To take part in the Shopping Night all you have to do is buy a ‘shopping passport’ which includes a list of all participating stores (these will become available closer to the event – watch this space) and the best part is that the location is easily accessible from any Barcelona apartment! 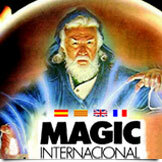 Magic Internacional is a fascinating event in Barcelona. From November 4th to November 6th, the general public is invited to the Fira de Barcelona (Palau de Congressos) to experience all there is to know about magic. Throughout the three days, there will be magical demonstrations, presentations and discussions where you can get involved in the shows or simply watch in fascination at the wonders of magic. Tickets for Magic Internacional cost 11 Euros per day and can be purchased at the ticket office on the day you attend. For more information visit Fira Barcelona’s official website. Book your apartment in Barcelona now and don’t miss the chance to experience these fantastic events in Barcelona this November, as well as all of the other fabulous attractions this beautiful city has to offer. Stay in a Sagrada Familia apartment in Barcelona and visit Gaudí’s unfinished masterpiece, or choose a Ramblas apartment in Barcelona and watch the autumn leaves fall amongst the living statues and bustling stalls. Wherever you decide to stay for your November getaway, make sure you check out Apartment Barcelona’s last minute offers, and find your perfect accommodation at the best price! 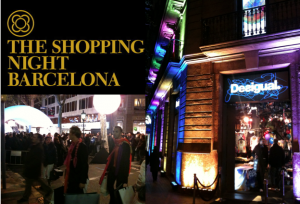 This entry was posted in Events, Home and tagged barcelona apartments, barcelona events, Barcelona festival, barcelona music, Barcelona shopping, costa dorada. Bookmark the permalink.